Spiderbait Return With Their First Studio Album In 9 Years! ‘Straight Through The Sun’ is the first taste of the new album from Spiderbait due out in November this year. This will be the band’s first studio album in 9 years. 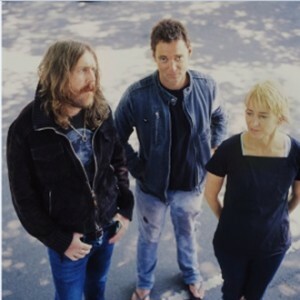 Forming in 1989, Spiderbait (Janet English, Kram & Damian Whitty) have sold over half a million albums to date with 5 Top 20 albums in Australia. In 1996 the band took out the top spot on Triple J’s Hottest 100 with ‘Buy Me a Pony’. This was the first time an Australian band had achieved this. They have since won 2 ARIA Awards, been nominated for 19 ARIA Awards, and scored a #1 ARIA chart single with their legendary track “Black Betty”. ‘Straight Through The Sun’ will be available for one week as a free download from Sept 6- Sept 13. Produced by Kram himself, the track is ball busting gut wrenching rock and roll at its finest! Spiderbait will play P!NK’s final show at Brisbane Entertainment Centre on September 8.